0.92 Cts Blue Diamond Stud Earrings in 14K White Gold . 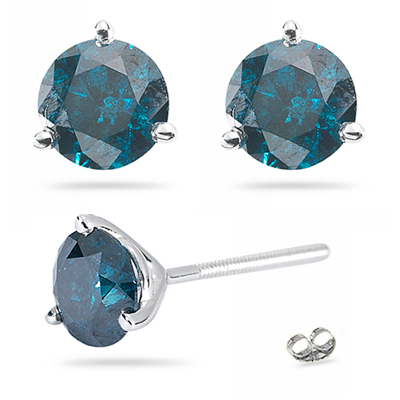 These glittering Blue Diamond Stud Earrings accent a SI quality round Blue Diamond each prongs set in 14 K White Gold. Approximate Diamond Weight: 0.92 Carats. Stunning earrings to verve-up your look.